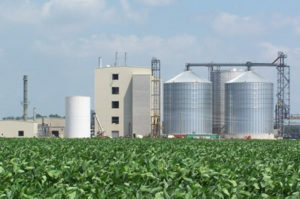 WASHINGTON, D.C – A ruling by the U.S. Department of Commerce to impose a tariff on Argentinian and Indonesian biodiesel imports from should help level the playing field for U.S. producers and encourage investment in supply chain infrastructure so that domestic demand can be satisfied with homegrown supply—and enable fuel distributors to market it as such. Responding to a petition by The National Biodiesel Board Fair Trade Coalition, the commerce department found that Argentina and Indonesia provide subsidies to their biodiesel producers in violation of international trade rules. In addition, the department found “critical circumstances” to address the post-petition surge of imports from Argentina, paving the way for the imposition of retroactive duties going back to May 2017. “We’re grateful that the commerce department has taken preliminary steps that will allow our industry to compete on a level playing field,” said Doug Whitehead, chief operating officer of NBB. As a result of the commerce department’s ruling, importers of Argentinian and Indonesian biodiesel will be required to pay cash deposits on biodiesel imported from those countries. The cash deposit rates range from 50.29 to 64.17 percent for biodiesel from Argentina, and 41.06 to 68.28 percent for biodiesel from Indonesia, depending on the particular foreign producer/exporter involved. Cash deposit requirements will be imposed when this preliminary determination is published in the Federal Register sometime next week. In addition, based on the “critical circumstances” finding, these rates for Argentina will apply retroactively 90 days from the date of the Federal Register notice. Between the preliminary and final determinations, the commerce department will audit the foreign producers and governments to confirm the accuracy of their data submissions. Parties will file briefs on issues arising from the agency’s preliminary countervailing duty determinations, and the commerce department will hold a hearing. Preliminary determinations in the companion antidumping investigations are due to be issued in October. Final commerce department determinations will be issued later this year, or in early 2018, with a final determination by the U.S. International Trade Commission soon thereafter. Sacramento, CA – The California Air Resource Board has certified a biodiesel additive that will make possible the expanded use of biodiesel under the state’s progressive clean air policies. The development of VESTA ™ 1000 —a NOx mitigant created by California Fueling and brought to market by Pacific Fuel Resources—enables fuel distributors to market and sell biodiesel blends up to 20 percent under the California Air Resources Board’s (CARB) Alternate Diesel Fuel Regulation, which goes into effect January 1, 2018. Without the additive, biodiesel blends exceeding 5 percent in the winter and 10 percent in the summer will fall out of compliance with state regulations. VESTA ™ 1000 will make B20 blends in California the cleanest proven and tested diesel fuel with the lowest emissions profile available anywhere in the U.S., according to Scott Fenwick, technical director of the National Biodiesel Board. 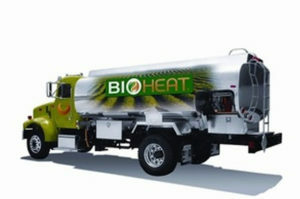 The additive takes already clean-burning biodiesel and ensures it reduces every measurable regulated emission, including NOx, when blended with California’s unique diesel formulation called CARB diesel. California Fueling, LLC will produce the formula, and Pacific Fuel Resource, LLC will deliver the product to market. The two companies will work cooperatively with NBB members as well as those in the California fuel community to support the ongoing use of biodiesel diesel blends up to B20. With the January 1, 2018, deadline approaching, Pacific Fuel Resources is now working with interested parties on the development of a reliable and ratable supply chain to introduce the additive into the California marketplace. For more information, contact Paul Nazzaro at (978) 438-6090 or paul@pacificfuelresources.com. Lafayette, IN – A Purdue University study concluding that the benefits of biodiesel are even stronger than previous models suggest should come as welcome news to fuel marketers around the country. The study, recently published in Biotechnology for Biofuels, suggests the advantage of using biodiesel has been underestimated by 10 percent. Research has long-supported the benefits of biodiesel in reducing wastes, supporting domestic jobs, and reducing harmful emissions. With all these proven advantages, the remaining question has become: How much biodiesel can we make and maintain each of these benefits? For nearly a decade, the U.S. EPA, the California Air Resources Board and a handful of scientific institutions have been trying to determine how major biofuel policies might impact land use around the world. A broad range of industry and environmental advocates support the legislation due to its positive impacts on the environment, public health, and local job creation in the nation’s largest heating oil market. 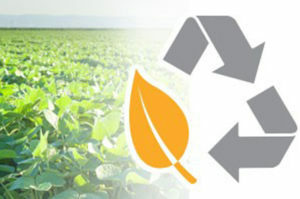 Biodiesel was the first alternative fuel designated as an “Advanced Biofuel” by the U.S. Environmental Protection Agency and has been verified to reduce total greenhouse gas emissions by more than 50 percent compared to petroleum. Independent studies by the National Renewable Energy Laboratory, Southwest Research Institute, Brookhaven National Laboratory, and the US Department of Agriculture have shown that ASTM grade biodiesel can blend seamlessly in heating oil with benefits to fuel performance, the environment, and human health. New York City, the largest municipal consumer of heating oil in the country, has already taken advantage of biodiesel’s benefits by instituting a citywide 2 percent biodiesel requirement in October of 2012 that increases to 5 percent later this year. This legislation would ensure the entire New York City Metropolitan Area, representing approximately 70 percent of the state’s heating oil market, would have a 5 percent biodiesel blending requirement. Jefferson City, MO – Production of domestic biodiesel remains strong despite uncertainties surrounding the new administration, a lapsed biodiesel tax credit, and concerns about the status of the advanced biofuel category and biomass-based diesel subset of the Renewable Fuel Standard, according to the EPA’s latest RIN generation figures. The domestic industry’s strong production volumes underscore its steadfast commitment to leading the next manufacturing wave across America. Domestic production of biomass-based diesel that generated D4 RINs under the RFS program totals more than 952 million gallons for the first seven months of this year. Most of this domestic production is biodiesel but it also includes some renewable diesel. Imported volumes of D4-generating biomass-based diesel totals roughly 416 million gallons from January through July. Combined, about 1.37 billion gallons of biodiesel and renewable diesel fuel has been produced to satisfy the 2-billion-gallon biomass-based diesel renewable volume obligation (RVO) under RFS for 2017, and the larger advanced biofuel RVO of 4.28 billion ethanol-equivalent gallons (2.85 billion biodiesel-equivalent gallons). The 1.37-billion-gallon total for the first seven months of 2017 is impressive considering last year, when a tax credit was in effect and well before the uncertainty of a new Trump administration was introduced, the combined D4 volume during the same time period (January through July 2016) was 1.27 billion gallons. According to the U.S. Energy Information Administration’s import data, no biodiesel from Indonesia—manufactured from palm oil and generating D6 RINs—has entered the U.S. from January through May of this year. A vast majority of biodiesel imports entering the U.S. during this time period has come from Argentina, with some originating in Canada. Slightly more than 77 million gallons of renewable diesel has been shipped to the U.S. from Neste’s Singapore plant in the same timeframe, according to EIA data. Monthly biomass-based diesel D4 RIN generation so far this year peaked in June at nearly 263 million gallons, which includes domestic and imported volumes, according to EPA’s EMTS data. The lowest reported month of production this year was January, at nearly 126 million gallons. 10th Integer Emissions Summit USA 2017 will cover the heavy-duty, light-duty and off-highway markets with a focus on advanced technology, legislation and strategy.